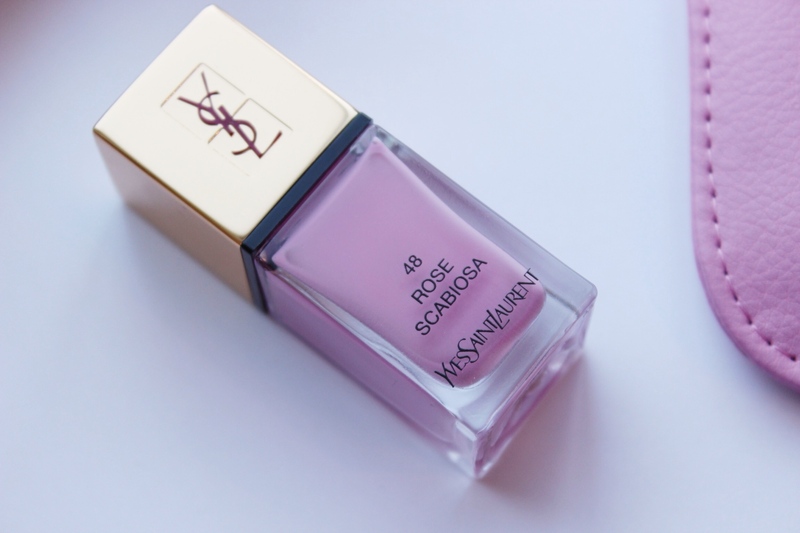 YSL released 2 nail shades for Spring 2014 but this shade was more appealing to me than the other. Priced at $25 the formula is rich and a cream finish. I’m wearing two coats for an opaque finish. The shade is this pretty bubblegum pink with cool undertones (almost orchid). This is actually my first time trying the YSL polish formula and I have to say I am very pleased. It’s super smooth, fast-drying and I didn’t see chipping until the 4-5 day. It has an excellent wide brush which makes application a breeze. I normally don’t go for pink shades but I am in love with it! I’m going to get a ton of use out of this polish come the warmer months and definitely recommend you get it if you’re a pink lover! Plus it matches my Mac Book sleeve! !